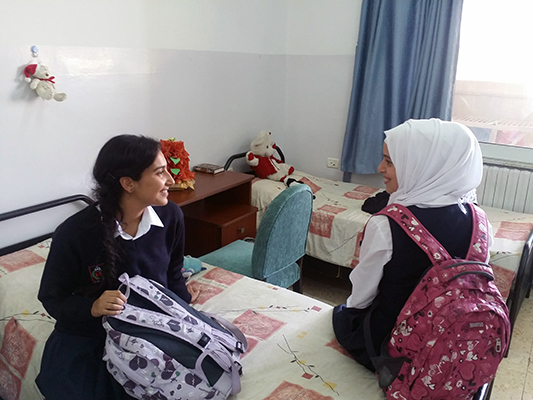 Dar Al-Tifl, a girls' school of over 1,000 students, has served the orphans of Jerusalem and neighboring communities to provide education, shelter, and a place for creative young minds to be free for over 60 years. Join our efforts to ensure its continuation. 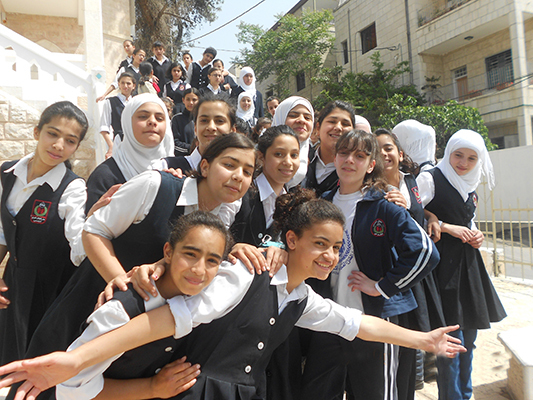 The front reads حرية (freedom) in Palestinian keffiyah print.